ACM Lifting Lives has announced it will be accepting submissions for the 2014 Grant Cycle from Sept. 1 to Sept. 30, 2014. For information on submitting a grant request, visit acmliftinglives.org. Funding decisions and notifications will be made in November 2014. 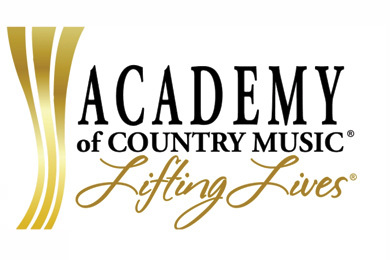 ACM Lifting Lives, the Academy of Country Music’s philanthropic arm, is dedicated to improving lives through the power of music. Through grant cycles, ACM Lifting Lives provides funding to programs that promote education and healing with a musical connection. Among the organizations that have previously received funding are Alive Hospice in Nashville, Tenn.; Bridges Academy in Nashville, Tenn.; Free Arts for Abused Children in Los Angeles; Music National Service Initiative in the Bay Area, Calif.; Musicians on Call in Nashville, Tenn.; Notes for Notes in Nashville, Tenn., Los Angeles and Santa Barbara, Calif.; Peace thru Music in Ventura, Calif.; Porter’s Call in Franklin, Tenn.; Possibilities! in Cumberland Furnace, Tenn.; Rock for Kids in Chicago; Tapping Individual Potential (T.I.P.) in Nashville, Tenn.; The Art of Elysium in Los Angeles; Vanderbilt Music Therapy Program in Nashville, Tenn.; and W.O. Smith Nashville Community Music School in Nashville, Tenn. Through partnerships with artists and those in the music industry, ACM Lifting Lives develops and funds music-related therapy and education programs, and serves members of the community who face unexpected hardships through its Diane Holcomb Emergency Relief Fund. Funding from ACM Lifting Lives includes disaster relief, helping communities in need, music education in schools, music camps for those with disabilities, and programs that use music therapy to help veterans and wounded warriors.